The first games, known as the International Silent Games, were held in 1924 in Paris. 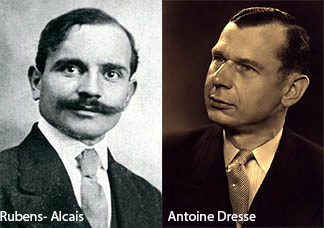 They were the brainchild of Eugène Rubens-Alcais, himself deaf and President of the French Deaf Sports Federation. At a time when societies everywhere viewed deaf people as intellectually inferior, linguistically impoverished and often treated us as outcasts, Monsieur Rubens-Alcais envisioned the international sports event as the best answer. Antoine Dresse, a young deaf Belgian, was instrumental in helping him accomplish his dream. 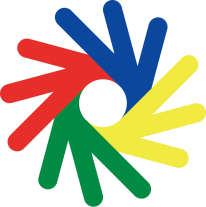 The competition at the games immediately became the social context for countries to deliberate about similarities and differences in the welfare of their deaf people. Over­ the years, games have been awarded with the aim of spreading these deliberations into new areas. Misconceptions about deaf people persist to this day in many parts of society and around the world. 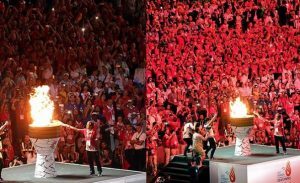 But inroads are being made in the battle against prejudice, as more nations and individuals join in the Deaflympics movement and more games are held. The Silent Games were the first ever for any group of people with disabilities. After the initial Paris Games, deaf sporting leaders assembled at a café and established Le Comité International des Sports Silencieux (the International Committee of Silent Sports), CISS, which was later renamed Le Comité International des Sports des Sourds (The International Committee of Sports for the Deaf), ICSD. The Deaflympics are distinguished from all other IOC sanctioned games by the fact that they are organized and run exclusively by members of the community they serve. Only deaf people are eligible to serve on the ICSD board and executive bodies. Participants in the first games arrived from nine (9) European countries. Today, the number of national federations in the ICSD membership has reached 108. Among relative newcomers enjoying the benefits of this worldwide network of sports and social inclusion are such geographically disparate countries as Jordan, Iraq, Sierra Leone, Ivory Coast, Bosnia and Herzegovina, Kyrgyzstan, Seychelles, and Yemen. Twenty two (22) Summer Games have been held since the initial Paris games with 148 athletes. No games were held between 1939 and 1949 because of World War II. The first Winter Games were held in Seefeld, Austria, 1949, with 33 athletes from five countries. The first games outside of Europe were the Summer Games held in Washington DC in the United States, in 1965. Only deaf and hard of hearing athletes can compete in the Summer or Winter Deaflympics, World Championships, Regional Championships, and other ICSD-sanctioned competitions. Full Members, Provisional Members, Regional Confederations, and Associate Members will adhere to the following Audiogram Regulations during regional and international sports events. Members of an affiliated National Deaf Sports Federation and citizens of that country. It is strictly forbidden for a competitor to use any kind of hearing aid(s)/amplification or external cochlear implant parts during the warm-up and competition within the restricted zone area. This is to prevent giving an advantage over those not using amplification in sports. Each sport has its definition of “Restricted Zone Area”. The First International Silent Games, or First International Games for the Deaf, now referred to retroactively as the 1924 Summer Deaflympics, were the inaugural edition of the Deaflympics. The 1924 Games were “the first games ever” for athletes with a disability, preceding the World Wheelchair and Amputee Games in 1948, which became the Paralympic Games in 1960 but which did not include events for deaf athletes. Deaflympics take place every four years. 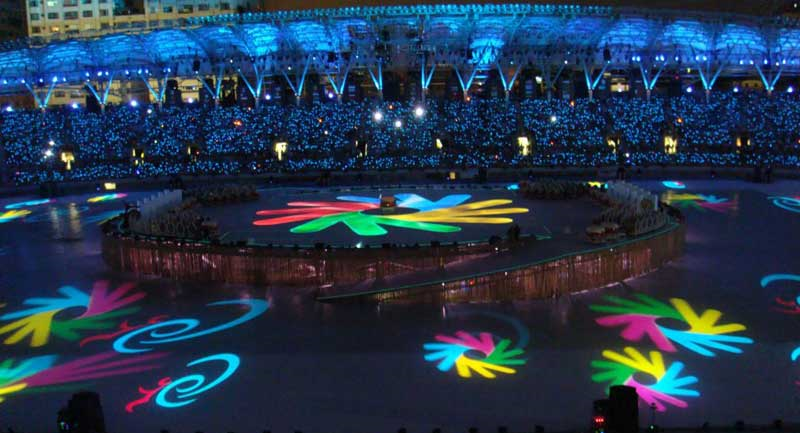 The Summer Deaflympics and the Winter Deaflympics shall be held, in turn, each second year. These Deaflympics receive official patronage of IOC. The Summer and Winter Deaflympics bring together deaf athletes of all affiliated National Deaf Sports Federations. The first sporting event in the Asia and Pacific region that was endorsed by the International Committee Sports of the Deaf and recognized by the International Olympic Committee, took place in 1984. The event was the First Asia Pacific Deaf Soccer Championship in Hong Kong. The Championships were held biennially in Kyoto, Japan (1986) and Melbourne, Australia (1988). The Asia Pacific Deaf Sports Confederation (APDSC) was formed during the 3rd Asia Pacific Deaf Soccer Championships in Melbourne. 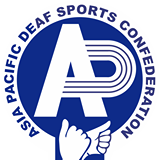 During the 4th Championship in Seoul in 1992, APDSC passed a resolution to change the name from Asia Pacific Deaf Soccer Championships to Asia Pacific Games for the Deaf and changing it from biennial to every four years. This is equivalent to the Asian Games and Asian Para Games. 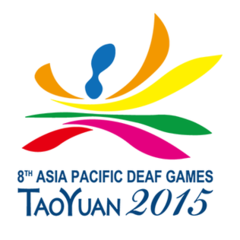 The last Games took place in Taoyuan, Taiwan in 2015, where more than 1,500 deaf athletes and officials from 23 Asia-Pacific countries convened to compete against one another.